WSU Snohomish County Extension is sponsoring the beginner level course in the Washington State Beekeepers Association’s Master Beekeeper Program. The Spring 2019 session of the Beginning Hobbyist Beekeeper Course will be Monday evenings starting February 25, 2019 from 6:30 p.m. to 9:30 p.m. at the WSU Snohomish County Extension Cougar Auditorium in McCollum Park, 600 – 128th St SE, Everett. The five-week course is perfect for anyone with no previous beekeeping experience and anyone wanting more information about beekeeping before making the decision to acquire a hive. Designed to build basic beekeeping skills, topics covered include bee biology, equipment, seasonal management requirements, identification and management of pests, as well as honey removal and processing. 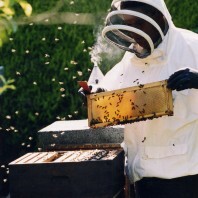 Overall focus will home in on the unique challenges and benefits to beekeeping in the Pacific Northwest. A workshop manual complements the lectures. Participants completing the course and passing the Washington State Beginning Beekeeper level exam (open book test) will receive a certificate as the first step towards the Apprentice, Journey, and Master Beekeeper levels. Class size is limited and usually sells out well in advance of the course. Cost for the five-week series is $110 per person. Register online at BeeBeginner.eventbrite.com. For registration information, contact Kate Ryan, kate.ryan@wsu.edu, (425) 357-6024. Dave Pehling, retired WSU Snohomish County Extension zoologist, has been studying and teaching about insects since 1978. 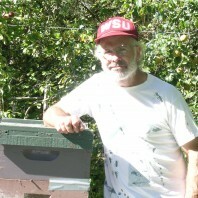 He is a Journeyman Beekeeper through the Washington State Beekeepers Association. Special interests include insect pest management, arthropod parasites (especially mosquitoes), and pollinators, especially honey bees. In addition to his entomological work, Dave taught vertebrate pest management for the WSU Extension Master Gardener and Livestock Adviser programs.